TOKYO --- Search and rescue teams found wreckage belonging to a Japanese Lockheed Martin F-35 stealth fighter that disappeared on Tuesday over the Pacific Ocean close to northern Japan, a military spokesman said on Wednesday. “We recovered the wreckage and determined it was from the F-35,” a spokesman for the Air Self Defense Force (ASDF) said, adding that the pilot of the aircraft was still missing. The advanced, single-seat jet was flying about 135 km (84 miles) east of the Misawa air base in Aomori Prefecture at about 7:27 p.m. (1027 GMT) on Tuesday, when it disappeared from radar, the Air Self Defense Force said. -- the missing F-35 was one of four that took off from Misawa Air Base in northern Honshu island for a training mission. It disappeared from radars about 30 minutes after taking off, just after it messaged “aborting practice" to its the formation leader. -- Japan's defense minister said the 12 remaining Lockheed F-35 jets have been grounded. 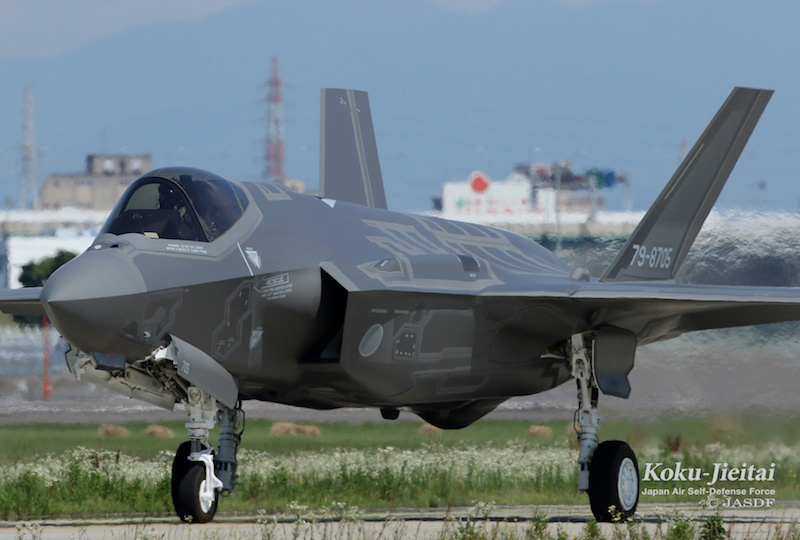 -- The crashed aircraft (s/n 79 – 8705) was the fifth F-35 delivered to the ASDF, but the first assembled by Mitsubishi Heavy Industries in Japan. -- The previous four aircraft had been used for training in the United States before being brought to Japan.